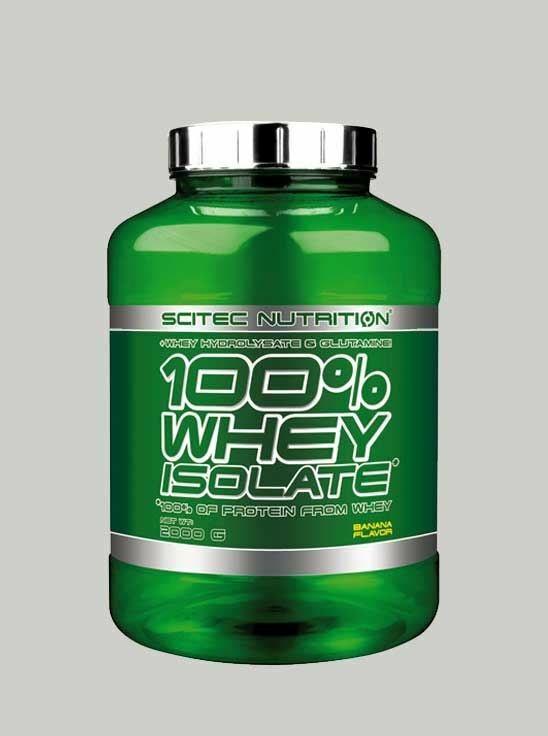 100% Whey Isolate provides faster, better amino acid absorption and utilization for optimum gains. Packed with best quality whey, 100% Whey Isolate provides 20g protein per serving. 100% Whey isolate formula was designed to provide the highest possible true concentration of protein and to allow the user to ingest a protein that causes the most significant and fastest muscle amino acid influx which in turn leads to anabolic protein synthesis boost. 100% Whey Isolates have unique amino acid absorption kinetics, the whey peptides are actively transported into the blood stream and to the muscle. It is low in lactose, fat and carbohydrates. 100% Whey Isolate is a fast-acting protein and the body digests it within 30 minutes of consumption. For eg: if you have 120g as your daily protein requirement and you are able to consume 60g of protein through your diet, then the rest of the protein deficit can be fulfilled by consuming 2-3 servings of protein supplement. 100% Whey Isolate can be used with any meal to add protein content to diet. Depending on your lean mass and nutritional needs, use 1-4 servings daily. 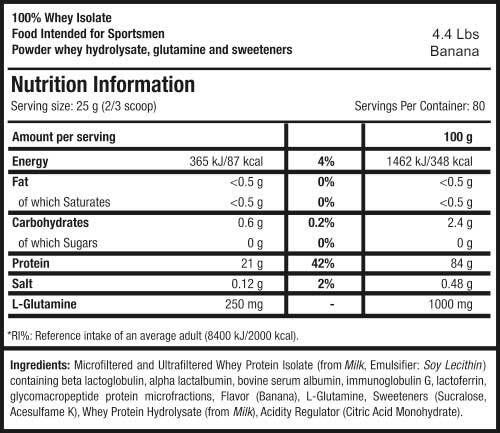 What is 100% Whey Isolate?